In this tutorial I'm going to share on How to install and use Open Web Application Security Project Broken Web Apps (OWASP-BWA) in Ubuntu Virtualbox . 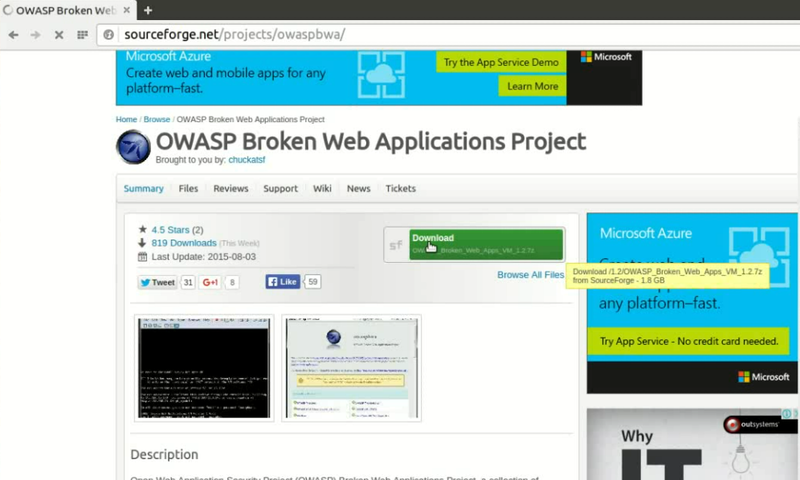 Download and extract OWASP -BWA . 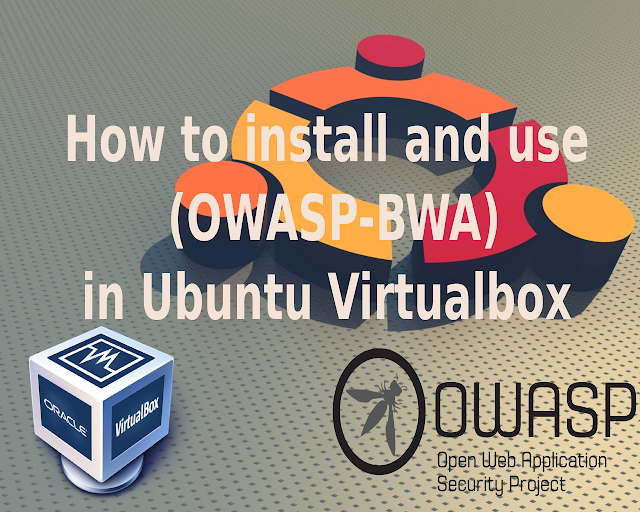 Add OWASP-BWA new Virtual Machine in Virtualbox . Run and access OWASP -BWA . 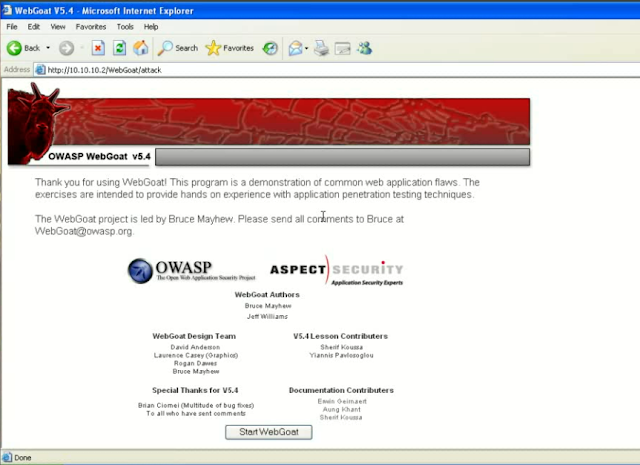 1) Download and extract OWASP -BWA . 1.1) Download OWASP -BWA on the net by searching on Google or find it here . 1.2) Copy the downloaded file to your desired location . 1.3) Extract the file by going to the folder, right click the file and choose "Extract Here" . 2. 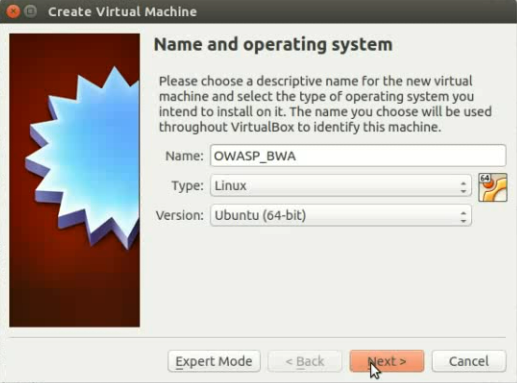 Add OWASP-BWA new Virtual Machine in Virtualbox . 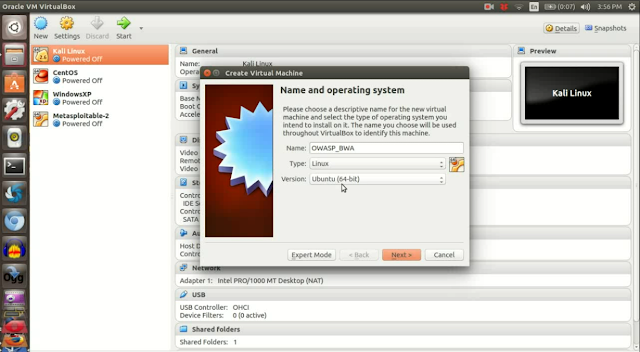 2.1) Add new Virtual Machine (VM) by adding new name and type which is "Linux" and choose "Ubuntu" type version . 2.2) Allocate memory size for Virtual Machine . I choose to run on 512 MB of RAM . Then click "Next" . 2.3) Use existing virtual hard disk . Then click the "file" button and choose the extracted file "OWASP Broken Web Apps-cl1.vmdk"
3. 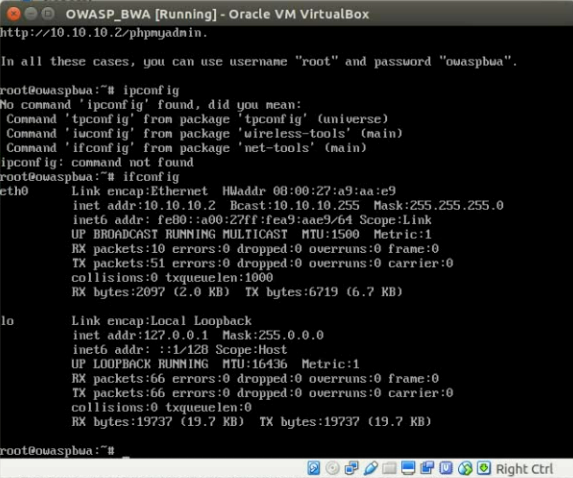 Run and access OWASP -BWA . 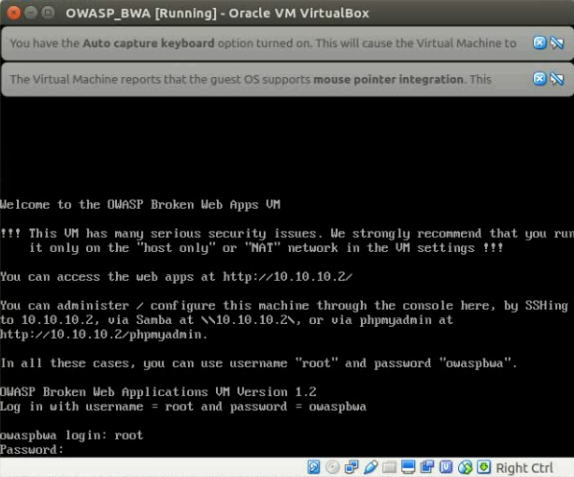 You need to run different machine to access OWASP BWA for your hacking and learning purposes. In below example, I run Windows XP to access OWASP-BWA . 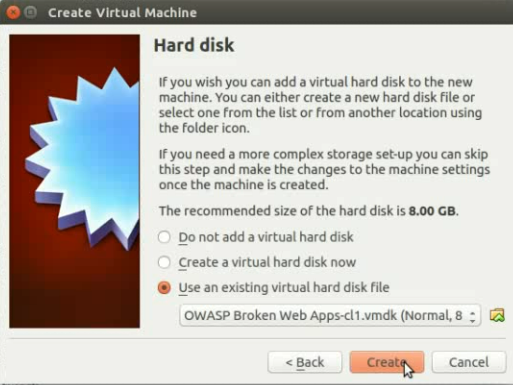 You can also use Kali Linux or any other distro that you have in your Virtualbox. 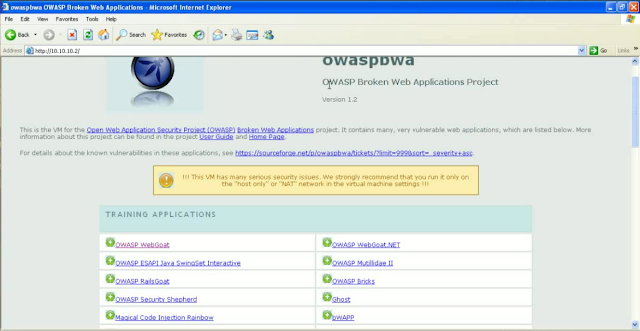 To access OWASP-BWA, you need to use internet browser . 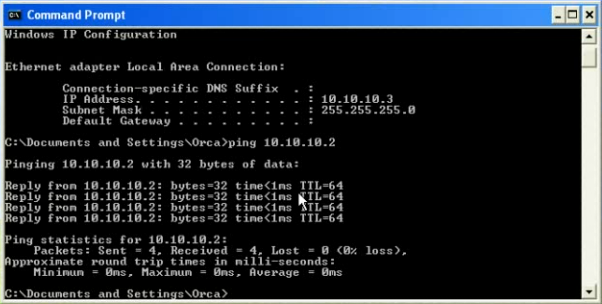 3.1) Click Windows XP and go to "Settings>Network" . Then, set the network parameter . 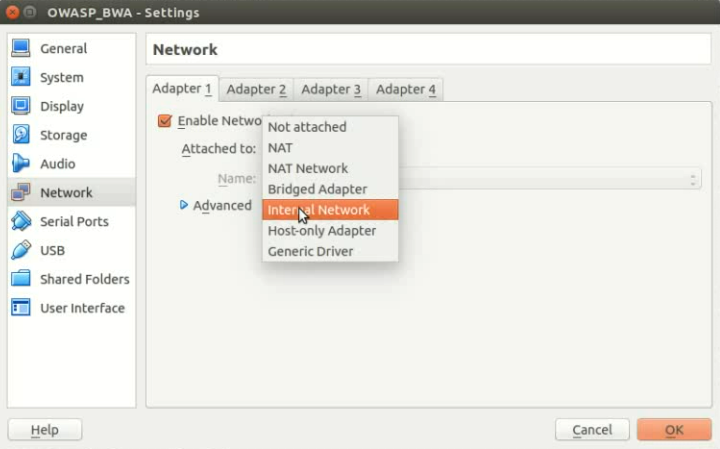 Change the attached information to "Internal Network" . 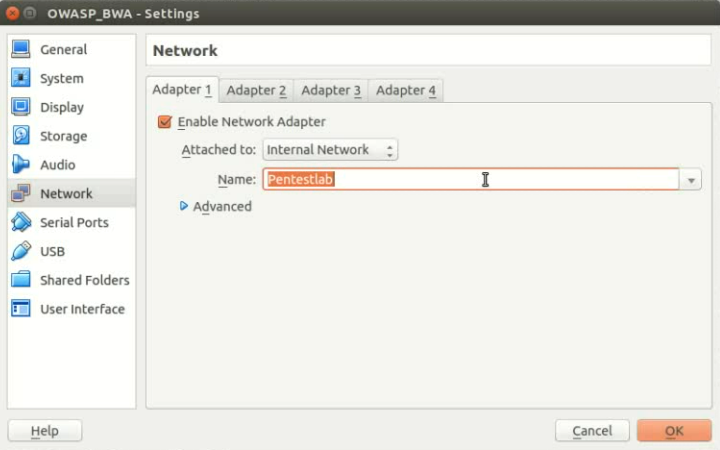 3.2) Give a name for your internal network .In this example i give the name as"Pentestlab" . 3.3) Repeat steps "3.1" and "3.2" above but this time set it for OWASP-BWA . 3.4) Run both system . by clicking "Start" button for both systems. 3.5) Key in the username and password for OWASP-BWA. Username for OWASP-BWA is "root" and password is "owaspbwa" . 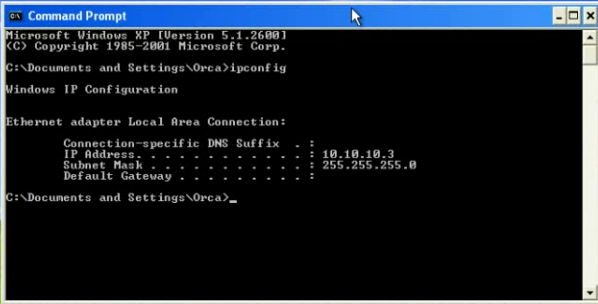 3.6) Check OWASP-BWA ip address by running "ifconfig" command. You will need this ip address to access OWASP-BWA . 3.6) Try to ping OWASP-BWA from Windows XP terminal . If you have problem ping OWASP-BWA, check your virtualbox network connection settings. 3.7) Open the web browser and access OWASP-BWA by typing OWASP-BWA ip address . 3.8) You should be able to login to OWASP-BWA .To run test on the vulnerabilities, click any web application given on the list. key in username and password . 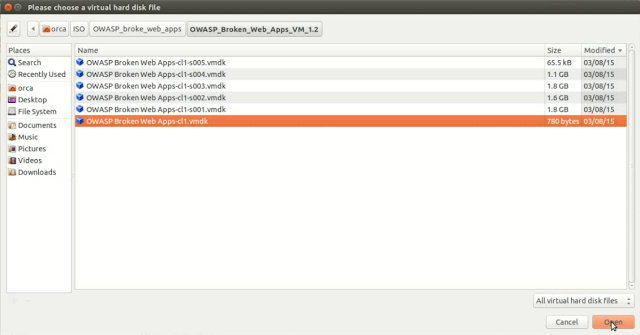 3.9) Once you are in the vulnerable application, Click start to run .